What's that, you've never tried grilling broccoli before? You absolutely should! Grilled broccoli with hoisin sauce may sound like an odd combination, but hoisin sauce makes everything taste fantastic on the grill - even grilled broccoli. Don't let the simplicity of the ingredients fool you! This recipe is fantastic. I love broccoli to begin with, but this combination is ridiculously delicious - much tastier than my photography skills let on, I promise! The sugar in the hoisin sauce caramelizes into a surprising taste. Give it a try! 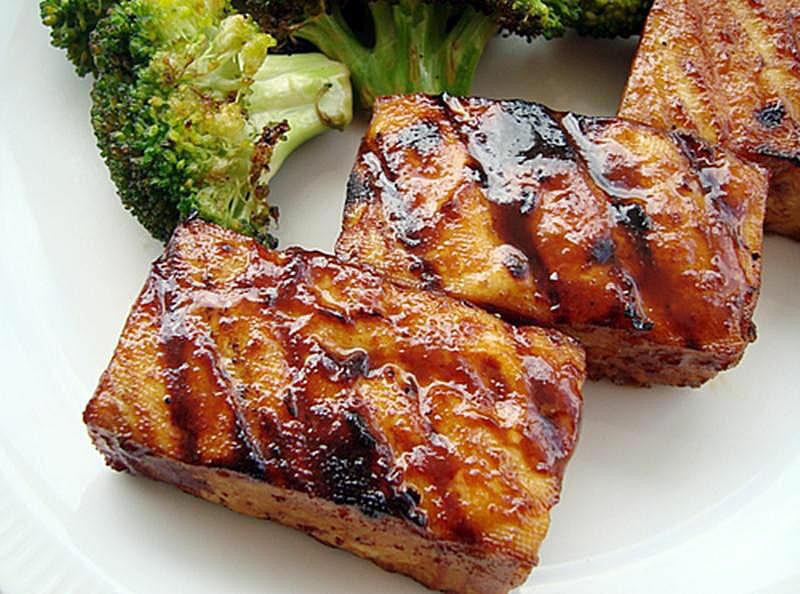 I paired this grilled broccoli with a similar grilled tofu in hoisin sauce. This grilled broccoli with hoisin sauce recipe is vegetarian and vegan. Hoisin sauce is often - though not always - gluten-free, so check the ingredients list if you need this recipe to be gluten-free as well. Looking for more vegetarian or vegetable grill recipes? Look no further! There's plenty of vegetarian and vegetable grill recipes here. Toss broccoli well with 1 tbsp olive oil. Whisk together remaining one tablespoon of olive oil with hoisin sauce and water. Place broccoli on the grill, turning frequently until lightly charred. Immediately toss broccoli with hoisin sauce and water mixture. Yum!